Pressure is mounting on Reserve Bank of India to take stronger action to stem rupee's slide. The six-member monetary policy committee of RBI will make its next rate decision on October 5. India has a currency problem and it's not going away anytime soon. A current-account deficit at a five-year high, elevated oil prices and an emerging-market sell-off conspired to push the rupee to below 72 per dollar last week, taking its decline since the beginning of the year to almost 12 per cent, the worst performer in Asia. 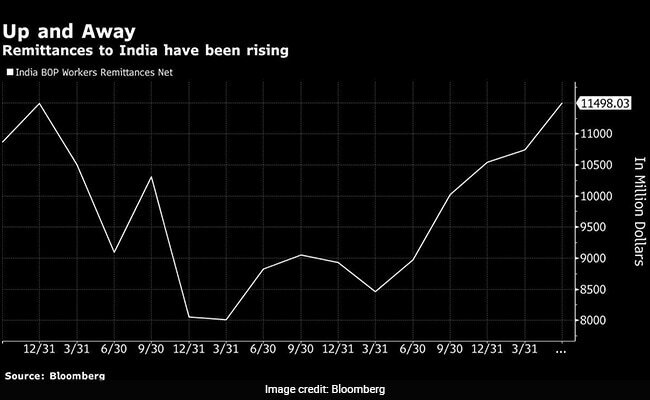 Pressure is mounting on the Reserve Bank of India to take stronger action to stem the currency's slide. The central bank has already raised interest rates twice since June and depleted billions of dollars to bolster the currency, but with little success. 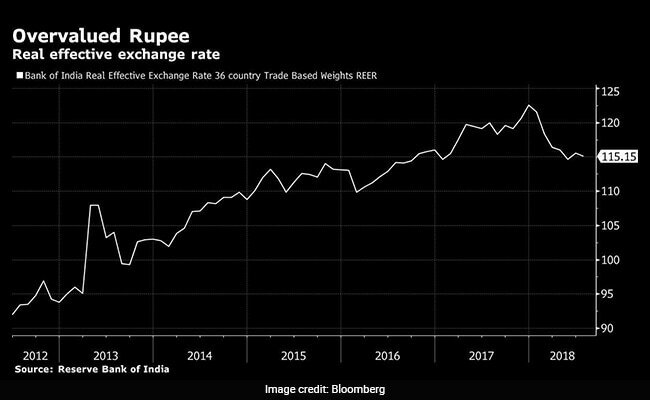 With upcoming data likely to show another large trade deficit for August and the US Federal Reserve expected to hike interest rates this month, analysts see more pain for the rupee. DBS Bank Ltd. is predicting the currency will weaken as low as 75 per dollar, while UBS Securities India Pvt. cut its year-end forecast to 73 from 66. The central bank targets inflation, not the exchange rate, and attributes any interest-rate moves to its goal of containing rising prices. 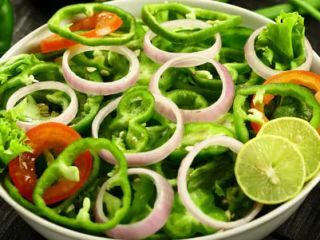 While data on Wednesday will probably show inflation eased to 3.8 per cent in August, according to a Bloomberg survey of economists, the outlook remains uncertain given the rupee and higher oil prices. 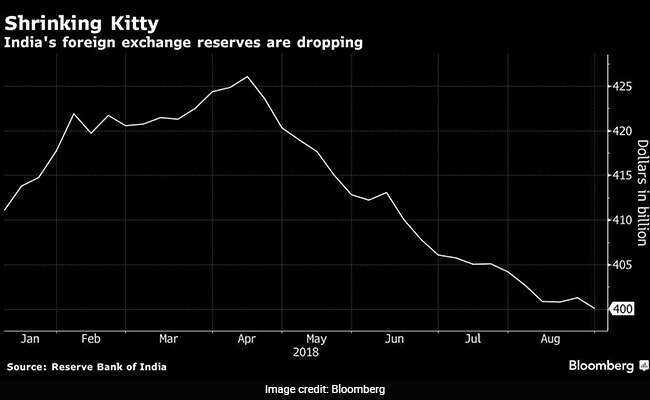 "The joker in the pack is the currency," said JPMorgan Chase and Co.'s chief India economist Sajjid Chinoy, adding the rupee's rapid fall might force the RBI's hand sooner than later. India isn't alone in Asia in raising rates to curb inflation and stem foreign outflows. 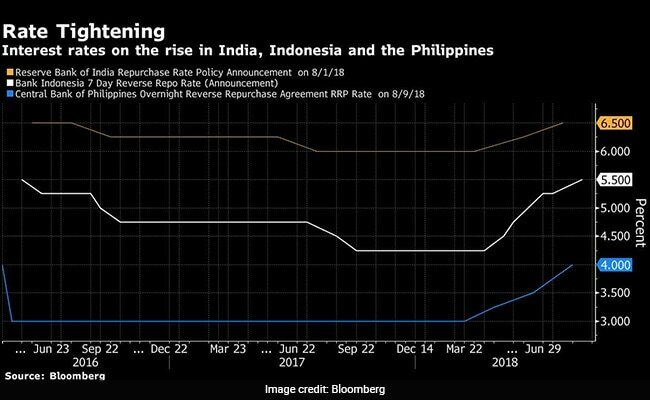 Indonesia has increased rates four times since May while the Philippines has tightened as well. Indranil Sen Gupta, India economist at Bank of America Merrill Lynch, says if capital flows don't revive, the government may once again turn to non-resident Indians to raise $30 billion to $35 billion. 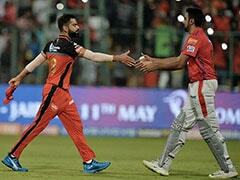 India can also consider raising $5 billion through a sovereign bond issue. 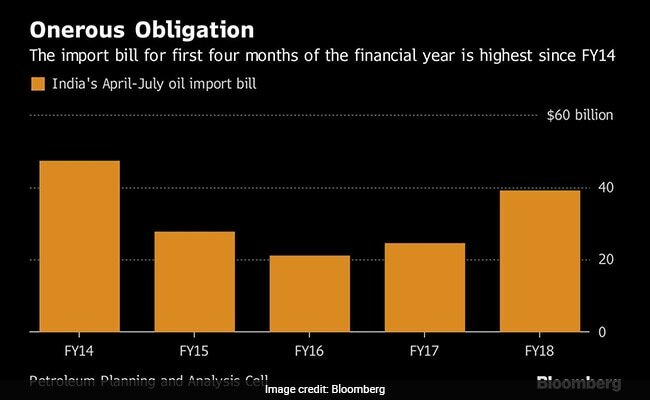 "A re-introduction of this policy for oil marketing companies and potentially for defense-related imports could provide some support for the rupee in the near term," Barclays Plc analysts Siddhartha Sanyal and Rahul Bajoria wrote in a note. Verbal intervention is always an option. While the RBI has said it doesn't target any level for the exchange rate, government officials say they have sufficient firepower to deal with the rupee's decline. 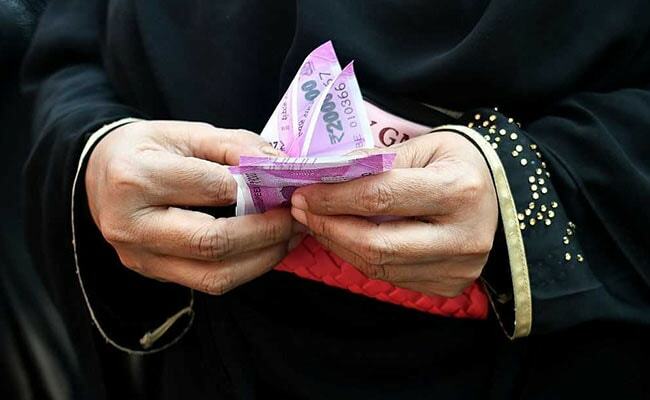 The right level for the rupee is 68-70 per dollar, with 72 being "perhaps an outer limit or beyond the reasonable outer limit for depreciation," Economic Affairs Secretary Subhash Chandra Garg told the Economic Times in an interview this week. "Those operators who are trying to take advantage of this contagion feeling in emerging markets may come to grief later," he said.